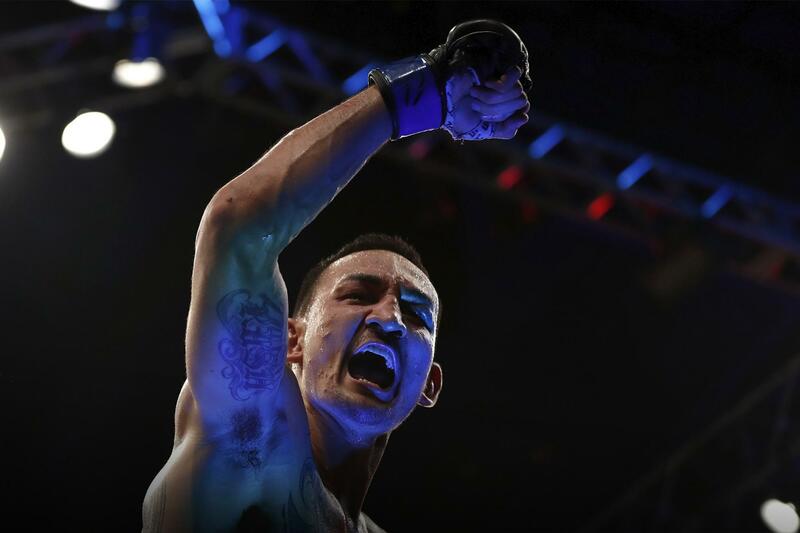 The main event of Saturday’s UFC pay-per-view will feature an epic rematch—seven years in the making—where featherweight kingpin Max Holloway (20-3) moves up in weight to face lightweight luminary Dustin Poirier (24-5) with the interim championship up for grabs. Rounding out the top of the bill will be Kelvin Gastelum (16-3) and Israel Adesanya (16-0) for middleweight glory. The prelims for UFC 236 will be televised on ESPN, highlighted by a 155-pound contest between Jalin Turner (8-4) and Matt Frevola (6-1-1), as well as a top-rated flyweight matchup that pits Wilson Reis (23-9) against Alexandre Pantoja (20-3). The very first preliminary fight kicks off on ESPN+ at 6:15 p.m. ET. The main card is set to begin at 10 p.m. ET.